OUR OTHER CURRENTLY FEATURED BOOKS, “RUNNING IN SILENCE,” BY RACHAEL STEIL, “METAMORPHOSIS,” BY ISABELLA MacLEOD, “HANK: A STORYTELLER’S STORY,” BY RICK BURNHAM AND “THE TELL-TALE TREASURE,” BY DIANE SAWYER, CAN BE FOUND BY SCROLLING DOWN BELOW THIS POST OR BY CLICKING ON THE AUTHOR’S NAME ON OUR AUTHOR’S PAGE. THE PUBLISHER: Calumet Editions, Minneapolis, MN. SUMMARY: “Advance Man” is an adventure, because just about every presidential campaign advance trip is one. The novel, based on true events, follows the campaign’s top “lead” advance man, Bix, for three action-packed days (one advance trip), as he creates and produces a massive rally, a major endorsement and several side events — all in under 72 hours — for a fictional African-American candidate. Set in and around Charleston, SC during the early days of the 2008 election, “Advance Man” pulls back the curtains on the invisible world of presidential advance. Advance teams work behind the scenes (they have been referred to as “secret agents” by the LA Times), sometimes with only a couple of days notice, to create and control every aspect of what is seen by America every night on national television, in newspapers and across social media. We follow Bix from the moment he first hears about the trip, and its complexities, from the deputy campaign manager (who doesn’t have Bic’s best interests in mind), through the team’s creative process, coordination with Secret Service advance (all of which does not go easily), and the cast of characters who have their own personal agendas. Bix also reestablishes a relationship with a former love who is now working for the opposition. “‘Advance Man’ explains a lot about what you see on TV, as well as why “advance” becomes so addictive to those who do it at the highest levels. It’s a high stakes, high adrenaline, immediate satisfaction, no room for errors job that tests the advance team’s skills in ways that very few human endeavors can. If you, the reader, aren’t amused and informed on nearly every page, the author will be happy to come to your home and explain why you should be. WHY WOULD SOMEONE WANT TO READ IT? 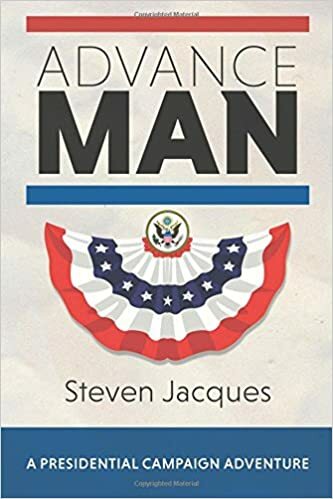 “Advance Man” captures the excitement of presidential advance — and the reality of its challenges — with more honesty than any non-fiction book can. Prior to “Advance Man,” there had only been one other book on the subject, a non-fiction work titled “The Advance Man” and published in 1972, because advance is like Fight Club — the first rule is, “advance people don’t talk about advance.” Advance staff are supposed to be invisible. They don’t talk to the press, and everything that transpires at a site, such as all the staging, and 35,000 people perfectly placed with placards and backdrops, and all the resources of a television studio and newsroom for 150 reporters, just “happens” as if by magic. REVIEW COMMENTS: The book has 31 reviews on its Amazon page. 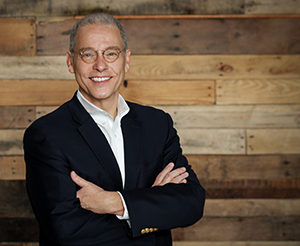 AUTHOR PROFILE: The author, Steven Jacques, is one of the longest-serving national political operatives in the Democratic Party. He served as Barack Obama’s senior national advance lead during the 2007-2008 campaign. PRICE: Kindle edition, $3.99; paperback: $18.99.